Safety at Home: Poison Garden | Safety at Home: Poison Garden – All Safe HSE Protecting Staff, Environment, Property and Investments. Hopefully we have seen the last of snow, and we can get on with that favorite spring pastime of gardening. Calm, serene, peaceful and potentially toxic. 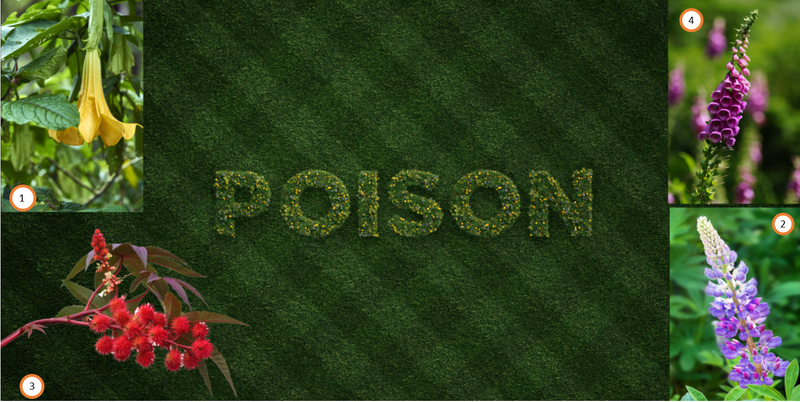 Did you know that several of the most poison plants are grown in our flower gardens as ornamental’s? Are all very dangerous and should be grown with extreme caution if you have children or pets. Ingestion is not the only method plants have of causing harm, simply touching some plants can cause irritation even blisters. If you are in doubt about a plant’s toxicity, your garden center should be able to answer your questions. Here is an interesting video and some great reference websites to see if what you are growing can become a danger to you and your family.